A familiar face is coming to MacGyver. 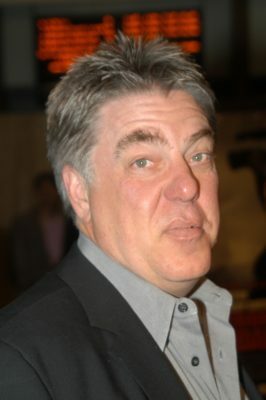 Deadline reports original series star Bruce McGill will guest on season two of the CBS reboot. McGill played Jack Dalton, MacGyver’s best friend, on the ’80s action drama. The reboot series follows a young Angus MacGyver (Lucas Till) as he uses his vast scientific knowledge and extraordinary talent for unconventional problem solving to save the world. The cast also includes George Eads, Tristin Mays, Justin Hires, and Meredith Eaton. On the new MacGyver, McGill will be playing “Detective Greer, a seasoned LAPD veteran who reads MacGyver his Miranda Rights for a murder.” McGill’s episode of the CBS series will air on December 15th. What do you think? Are you a fan of MacGyver? How does the reboot compare to the original? More about: CBS TV shows: canceled or renewed?, MacGyver (1985), MacGyver (1985): canceled or renewed?, MacGyver (2016), MacGyver (2016): canceled or renewed? I love MacGyver. I never saw the original but love this series. I love George Eaves. Didn’t watch the original, though I love Richard Dean Anderson. However, this reboot is great fun. So much fun to see George Eads have such a humorous character after being on the dark CSI Vegas (where he was the resident hottie there also). I’m a huge fan of the original MacGyver and Richard Dean Anderson. I am also really enjoying the new MacGyver reboot as well. It’s just plain fun. It never going end Hawaii five-0 don’t say that not nice. Dennis Chun was in the original Hawaii Five-O in 1974 and also in the reboot starting in 2017.